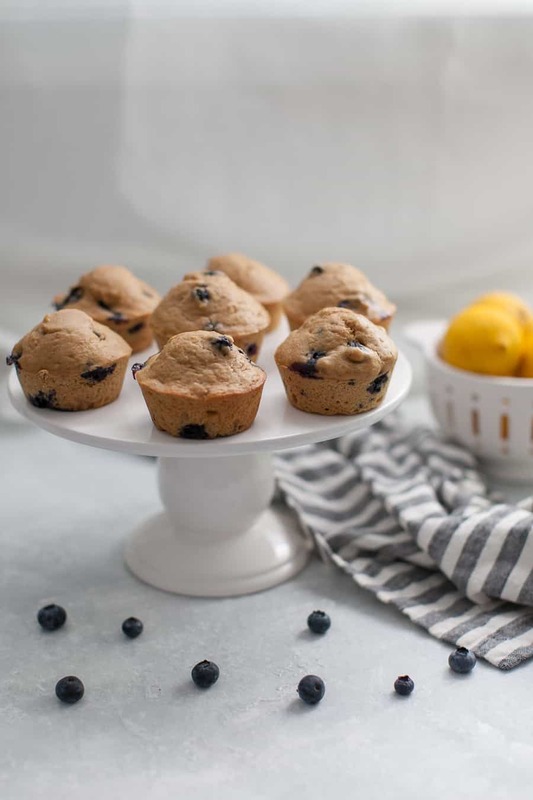 Healthy Lemon Blueberry Muffins are the perfect thing to kick off the school year. These muffins can easily be made ahead of time for the week and are perfect for serving to your kids. 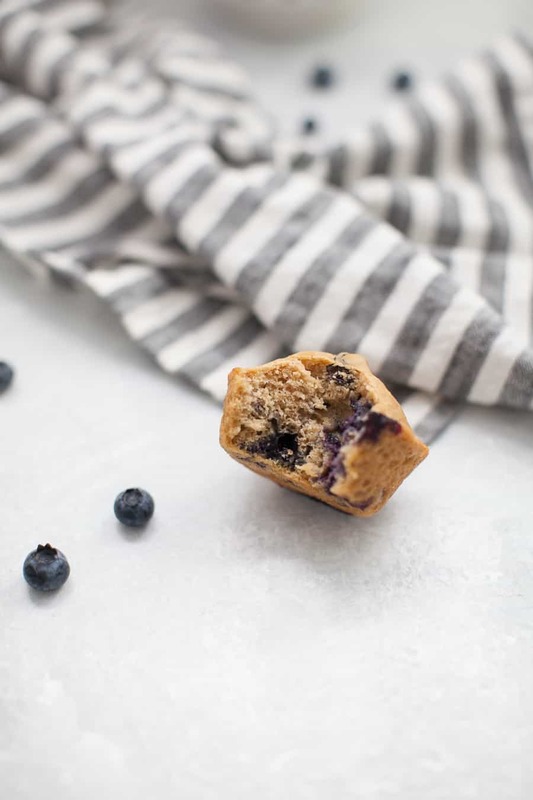 They’ll love the sweet taste of the blueberries and you’ll love that they’re refined sugar free and healthy for them! Welcome to Muffin Week 2018! The rest of this week, you’ll see my publishing recipes for various kinds of muffins both sweet and savory! 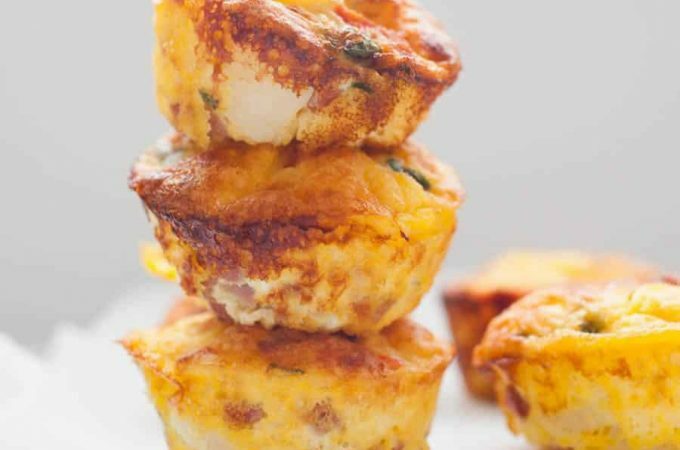 Be sure to check out the landing page for Muffin Week to stay up to date with all of the delicious recipes that are being brought to the table. 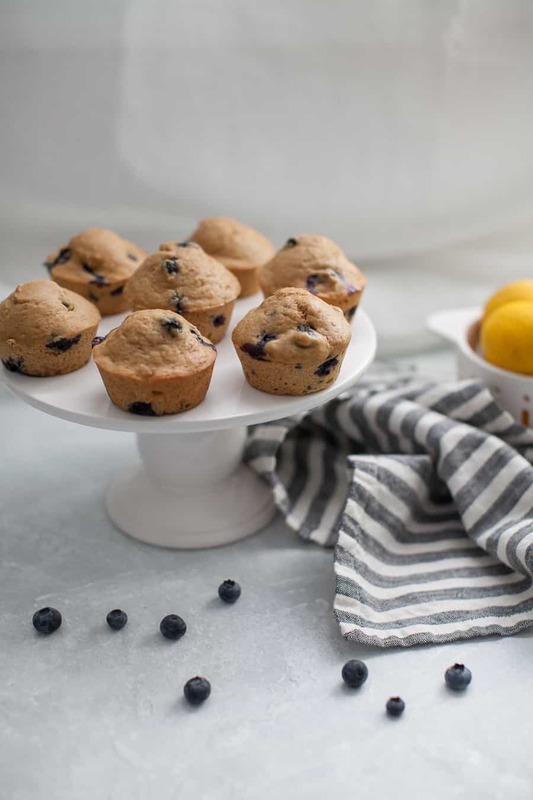 First up, these Healthy Lemon Blueberry Muffins. I’m no stranger to making blueberry muffins (see: Healthy No Sugar Added Blueberry Muffins and Blueberry Chia Seed Muffins). In fact, they’re probably made in my kitchen at least once a month if not more often. I love baking but I especially love baking with my toddler’s help. Muffins are perfect for getting toddlers to help along. I’ve found that the recipes we make aren’t super finicky and it’s okay if they get a little over mixed or the ingredients aren’t just perfect, especially when little hands are helping out. The second time we made these muffins, I decided to let Greyson do all the work for them (measuring, mixing, etc.) and he did a great job! They turned out perfectly, though maybe not 100% pretty 😉 But 100% tasty? Yes, indeed. 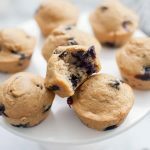 In thinking about what kind of recipe I wanted to do for my first post for Muffin Week, I really wanted to share another blueberry muffin recipe but one that I felt like anyone could make. 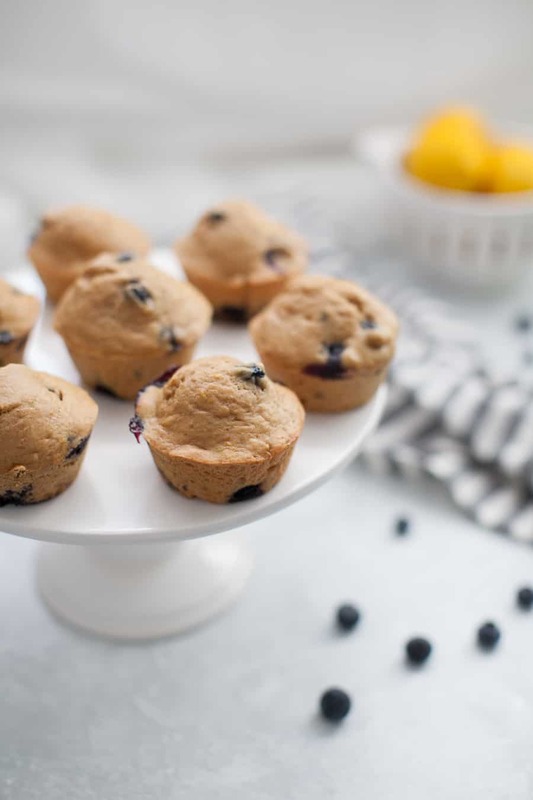 My other recipe for healthy blueberry muffins is SO easy, but it’s a blender recipe and I think some people are intimidated by that or don’t have a blender. 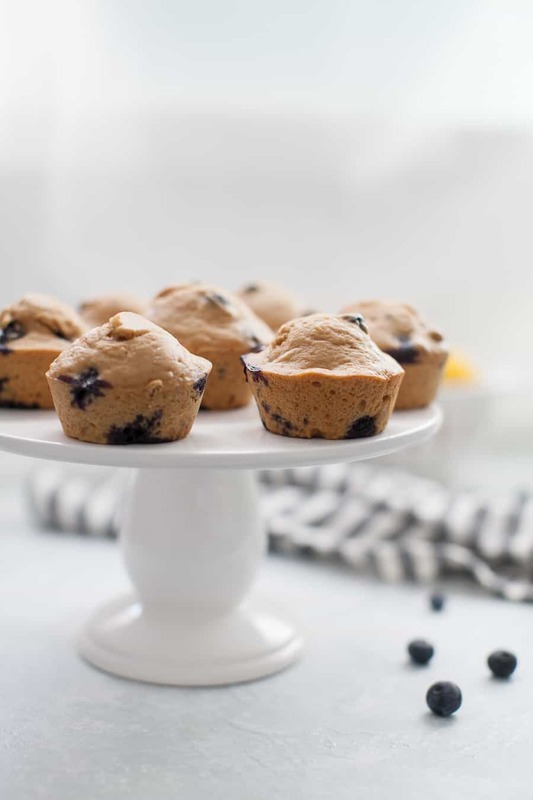 So I wanted to make something that’s a little more like your average blueberry muffin recipe, but a healthy version! The secret to this recipe? Coconut sugar. It’s a sugar that is considered generally healthier than regular sugar but it acts like sugar in baking, which makes it a perfectly accessible ingredient for anyone to try and use. The thing about healthy recipes, especially in baking, is sometimes they require tons of fancy ingredients that the average baker doesn’t have. Coconut sugar isn’t necessarily something everyone has on hand, but it’s so easy to pick it up at any grocery store when you pick up fresh blueberries! The coconut sugar adds some depth and warmth to the muffins, almost similar to what brown sugar would add to a recipe. And on that note, if you don’t have coconut sugar, you can easily switch out the coconut sugar this recipe calls for for regular brown sugar or white granulated sugar. 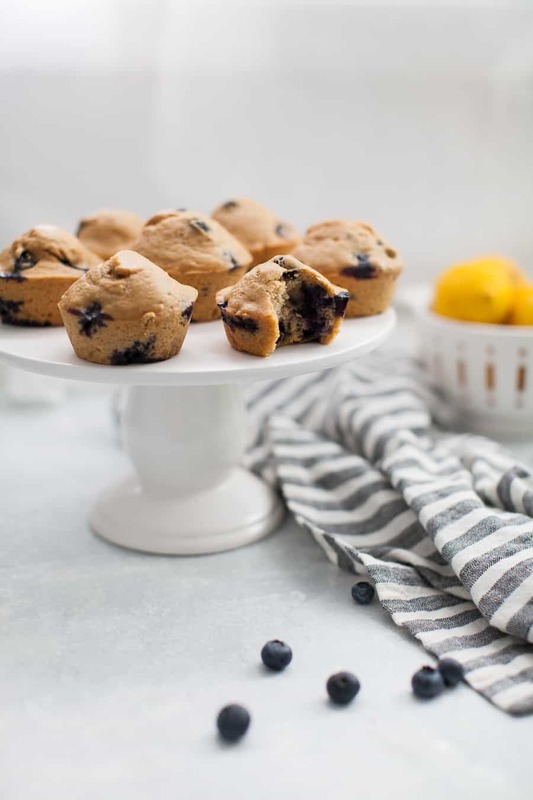 These Healthy Lemon Blueberry Muffins are a fun, light twist on classic blueberry muffins that I truly think you’re going to adore! Can you substitute coconut sugar for white sugar? Yes! White sugar, brown sugar and coconut sugar are all interchangeable in this recipe. 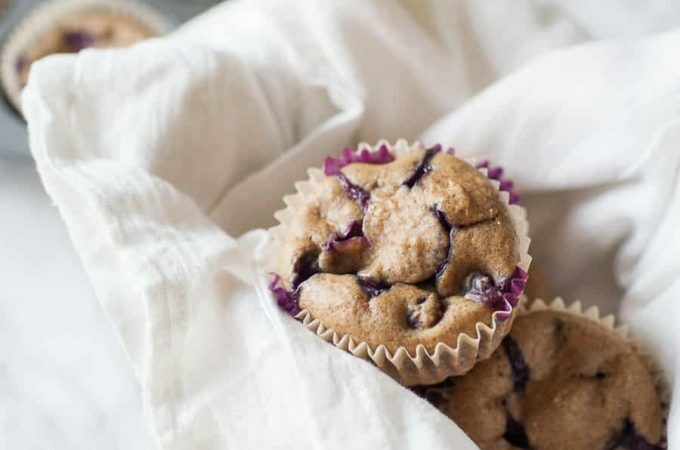 Do blueberry muffins need to be refrigerated? They don’t need to be but if you aren’t going to eat them in a few days max, I’d recommend freezing or at the least refrigerating them so they do not go bad. Muffins are the preferred texture at room temperature, so refrigerating them isn’t ideal but will help them last longer. 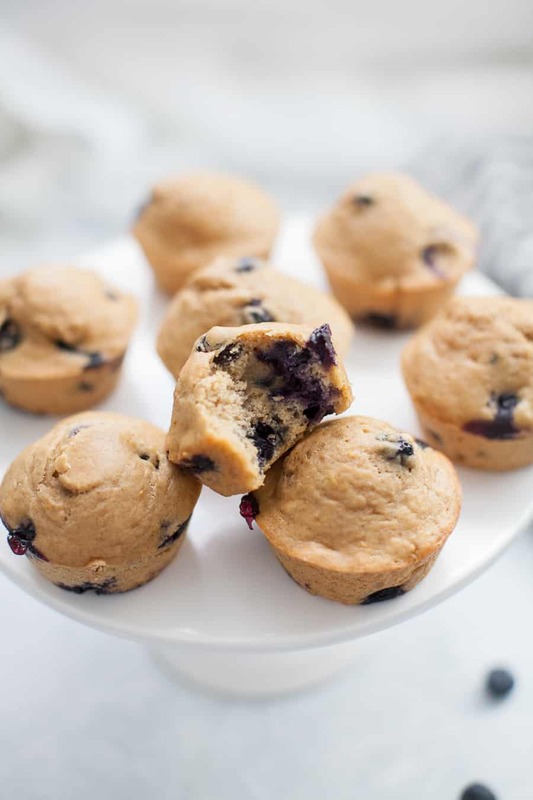 Can you use frozen blueberries to make muffins? Absolutely. Rinse frozen berries first, this will prevent the muffins from being completely tinted blue when baked. Rinse berries until water clears up from the juice, then pat dry with paper towels. Then use in muffin batter like normal! What can I use instead of blueberries? 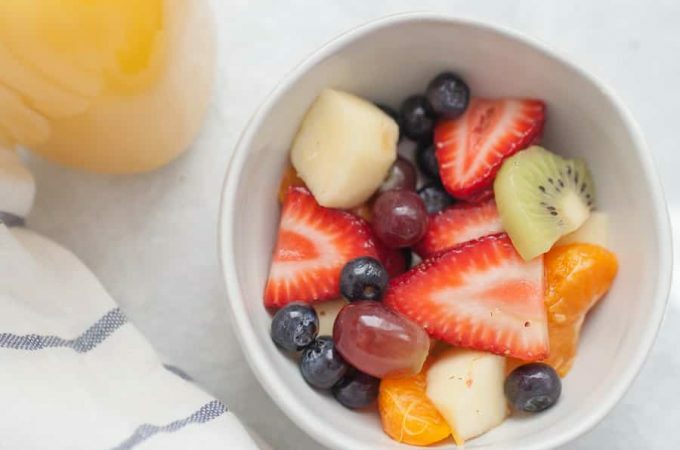 You can substitute strawberries or dried fruit like apricots. Don’t be afraid to be creative! How can I make these muffins gluten free? I haven’t experimented with a ton of gluten free flours, but I do know that this 1-1 substitute usually works perfectly for my muffins! You could also experiment with making your own oat flour by putting oats in a food processor and pulsing until they are finely ground. Then just substitute the same amount of oat flour in place of the regular flour. Be sure you bake these right away if you use oat flour, since oats will absorb the liquid and can make the muffins a bit chewy. If you try something other than regular flour, let me know how it goes! Absolutely. Instead of using yogurt, just use an extra 3/4 cup almond milk or non-dairy milk of your choice. 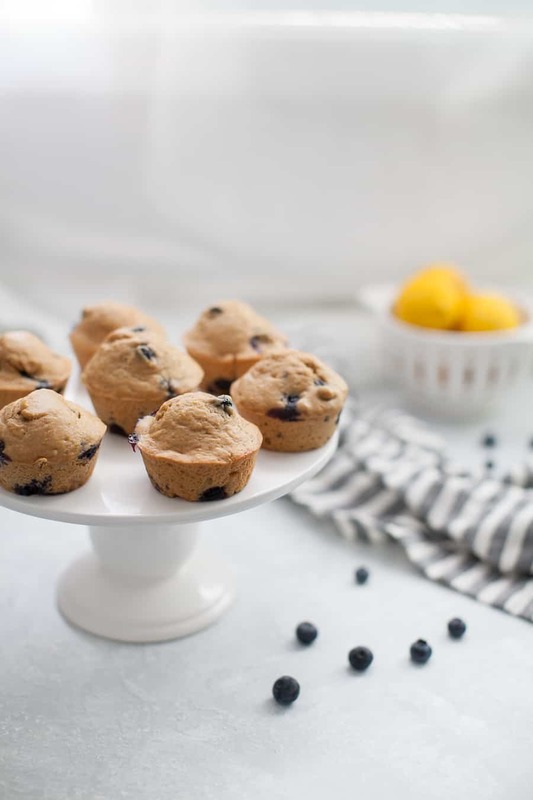 What else can I serve with these Healthy Lemon Blueberry Muffins? It totally depends on what you’re going for! If it’s for brunch, make this Baked Egg Casserole or Spinach Veggie Casserole to serve with the muffins. If it’s for a playdate, maybe this Toddler Friendly Kale Fruit Smoothie. Another thing I love to do is do a half batch of one kind of muffin and a half batch of another. This recipe for Healthy Banana Chocolate Chip Yogurt Muffins is perfect to split a muffin pan. Are you ready? Let’s make some Healthy Lemon Blueberry Muffins! In a large mixing bowl, combine flour, oats, coconut sugar, aluminum free baking powder, cinnamon, and salt. In a glass liquid measuring cup, combine remaining ingredients, except for the blueberries. 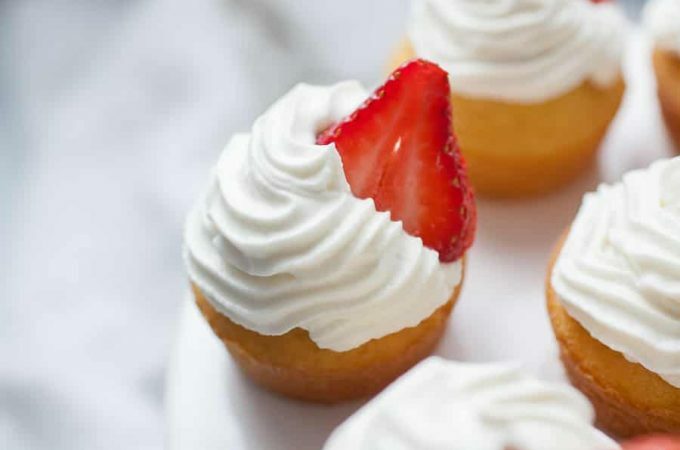 These would be the perfect thing to bring to brunch! Wouldn’t they?! They are definitely a new favorite of ours! These look so tasty! 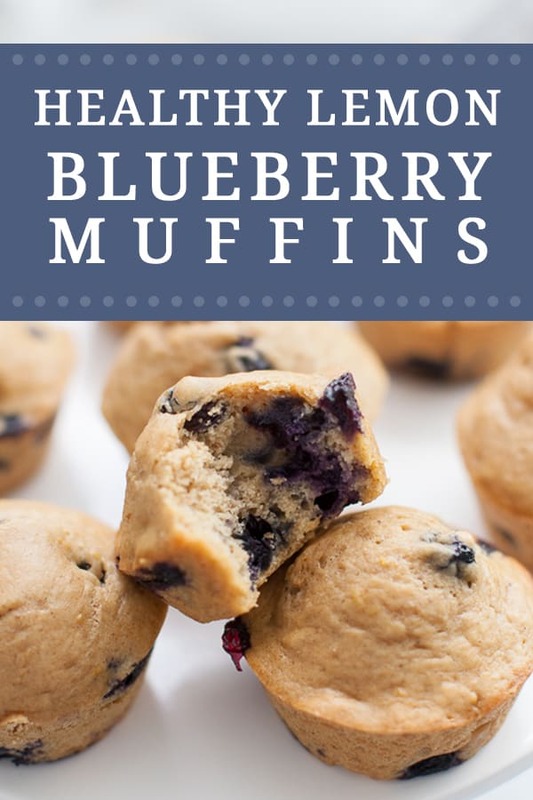 The timing on these couldn’t be more perfect because I have SO MANY blueberries in my fridge right now and have been searching for a way to use them all up. I can’t wait to see what else muffin week has in store for us! Oh yay! You’ll love these. Seriously we’ve made them three times in the last two weeks. They’re so tasty! Blueberry muffins are my favorite kind! I like that this is a healthy take on them. 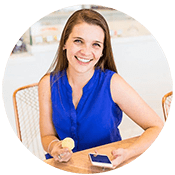 My toddler and I will eat these up! Definitely going to try making them soon. Fresh local blueberries are just coming into season here, so I know I’ll have to give this recipe a try! Love healthy muffin recipes, and I always bake with coconut sugar, so I have all the ingredients for these muffins waiting in my pantry! That’s awesome to hear you have coconut sugar on hand! Ever since we started using it, I keep it around too! I love using it when I want a more classic muffin texture (I use dates in a lot of muffins but the texture is totally different). Lemon and Blueberry are two of my favorite combos! So delicious!